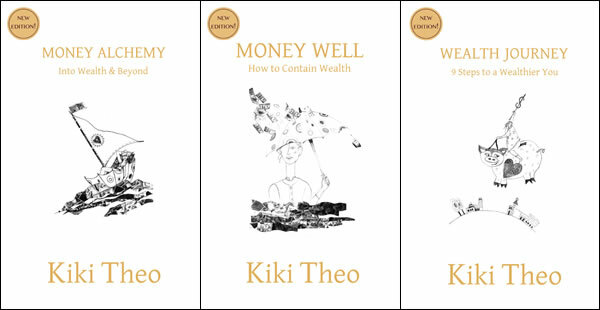 Holistic Wealth Creation is what Kiki Theo’s Money Alchemy book is about. Money Alchemy is a bridge between Money and Energy. It’s a Transformation of Self and Wealth using Holistic Money Making tools. Wealth Creation is a journey, a relationship, a vision of a new you! Holistic Wealth Creation is connecting to the flow of Money Energy! Kiki Theo’s Money Alchemy will transform you - simply, organically,effortlessly! Money Alchemy is based on the Money Alchemy Courses and Kiki Theo’s own journey of money making and transformation. See the Feedback! Wealth Creation from the inside out! Feel Wealthy! Be Wealthy! Become Wealthy!